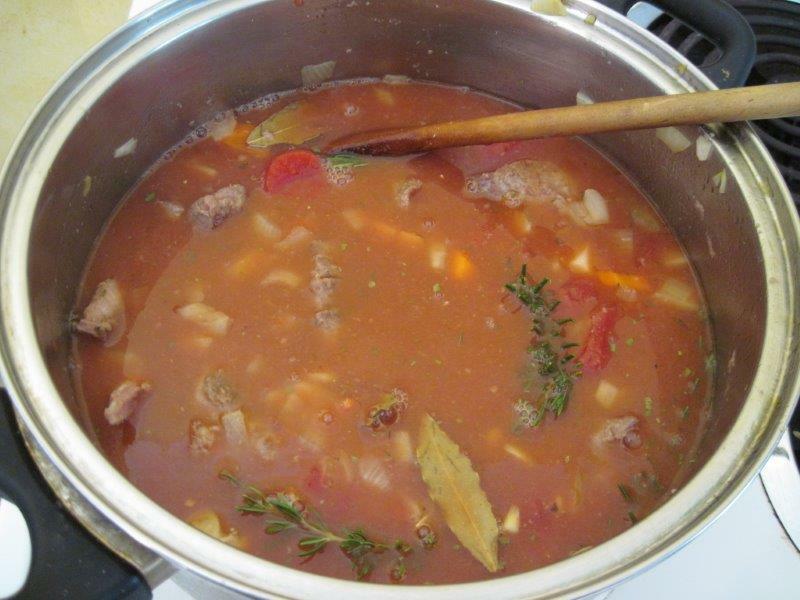 Bear in mind that the secret of a good stew is a lengthy cooking time, so choose a day when you know you’ll be at home for a while and can keep an eye on it. 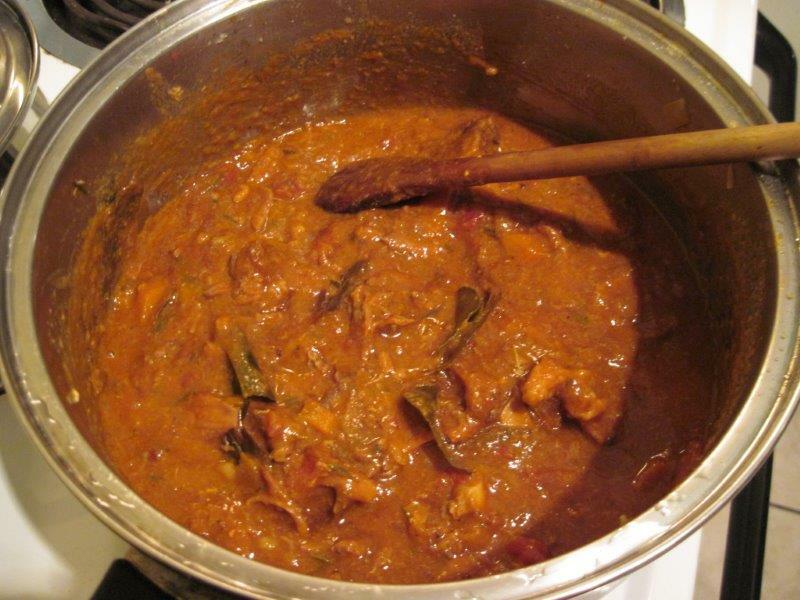 The yummy aroma as it cooks will keep you salivating until it’s ready! 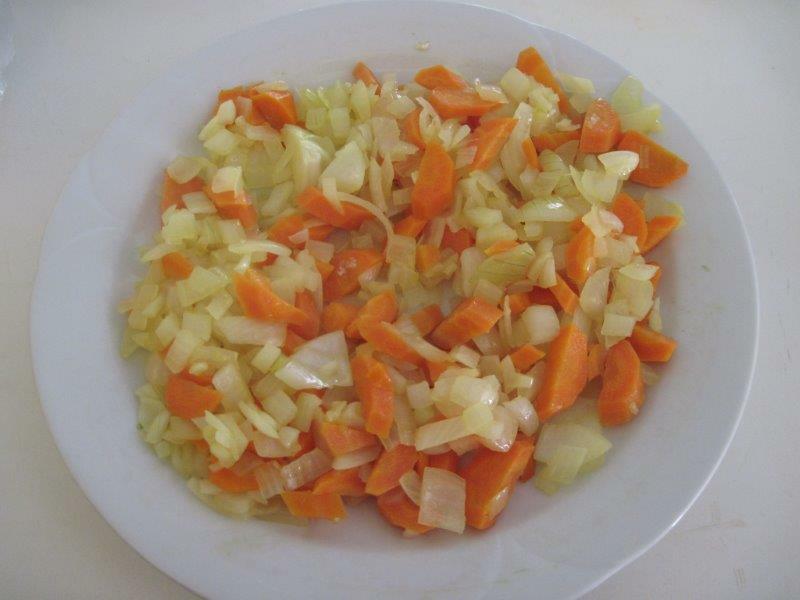 If you want to bulk the stew up further, you can add more carrots, potatoes, or any other vegetables you like e.g. turnips, aubergines or even peas, broccoli or beans. Add any green vegetables only about 10 minutes before serving though, unless you want them to be mushy. I personally like to remove the bones before serving or freezing the stew, especially as the meat should be falling off them when it’s done. If you prefer to do it caveman style though and leave them in, feel free. The stew can be served with any starch like potato, sweet potato or rice, or simply with lots of vegetables like beans, broccoli or cauliflower (or even with cauliflower rice, if you’re feeling adventurous). 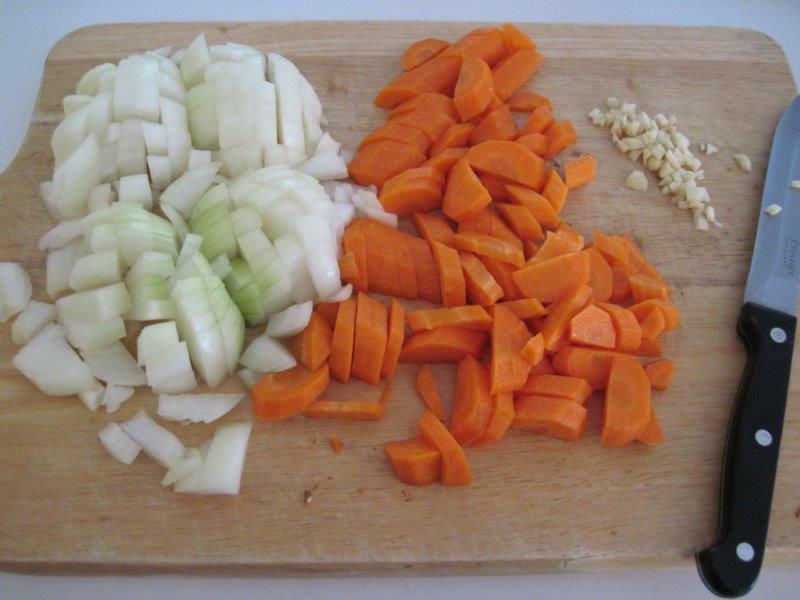 Prepare the vegetables, although you can do the potato later if you like. 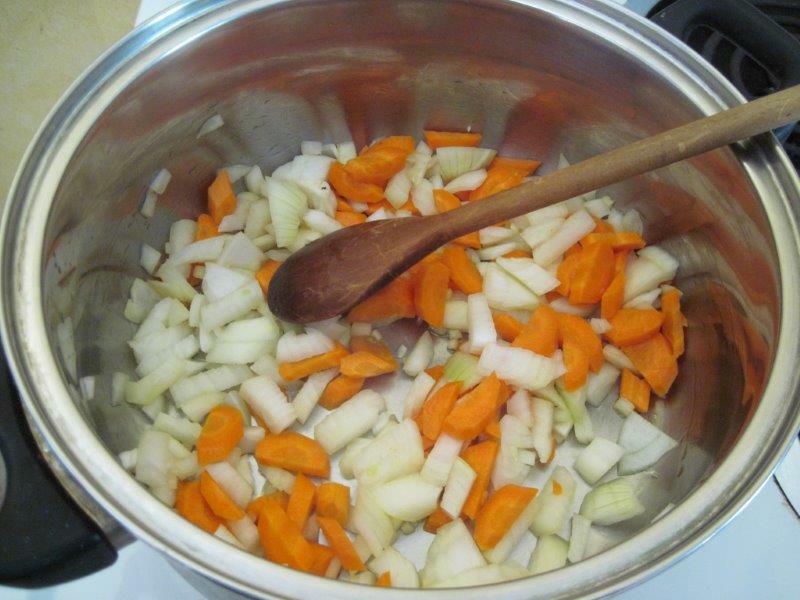 Heat 3T of olive oil in a big pot on medium heat and add the onion, carrot and garlic. 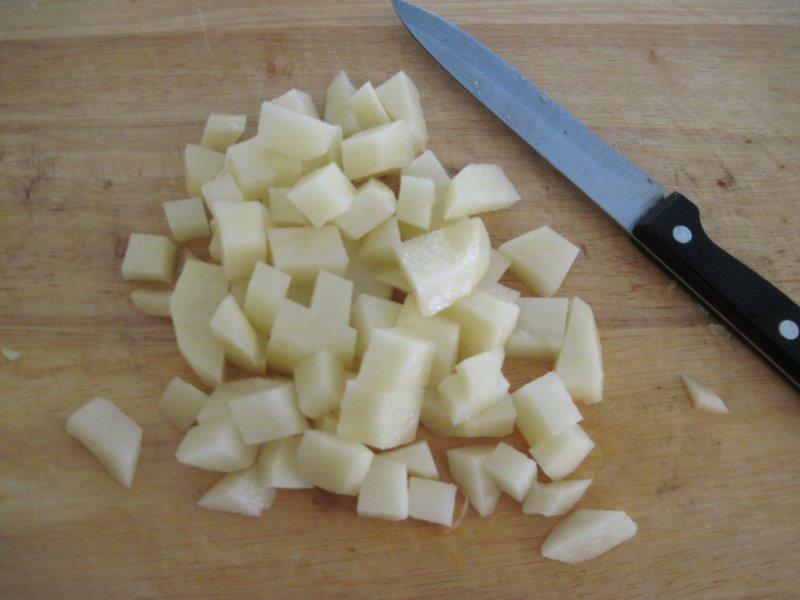 Sauté until the onion starts to soften and look transparent. 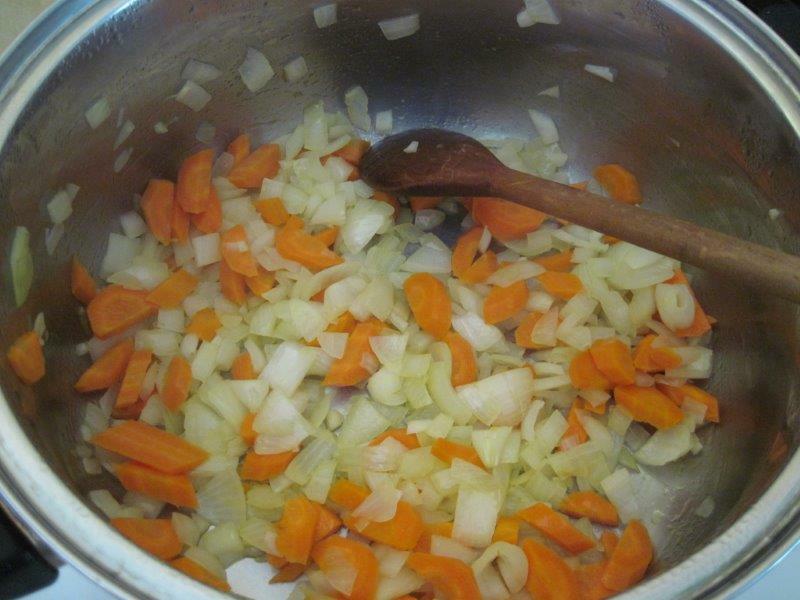 Then transfer all the vegetables from the pot into another bowl or plate. 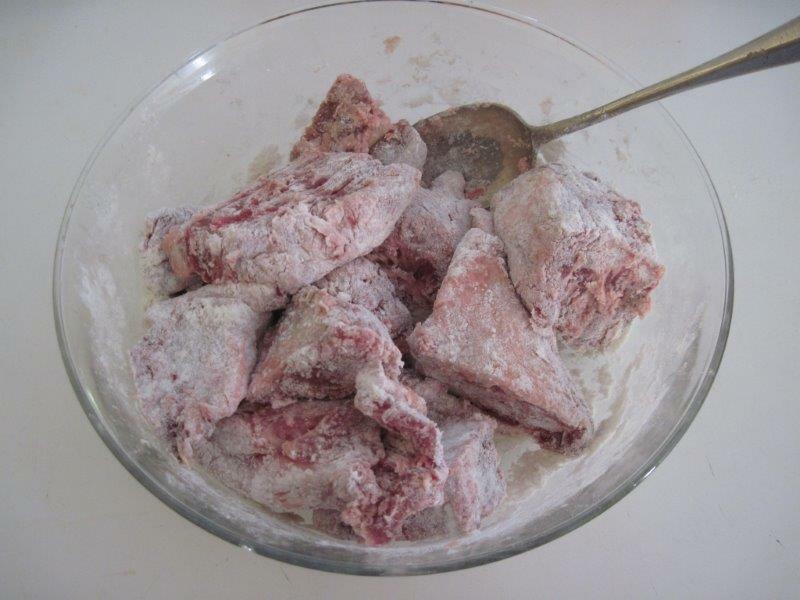 In the meantime, place the flour and lamb in a largish bowl and mix around until all the lamb is coated with flour (or place the flour and the lamb in a bag and shake it around). Heat the remaining 3T of olive oil on medium heat and add the lamb. Gently brown the lamb, turning regularly till most of the surfaces are light brown, with perhaps just a little pinkness left in places. While the lamb is browning, you can prepare the potato if you haven’t already. 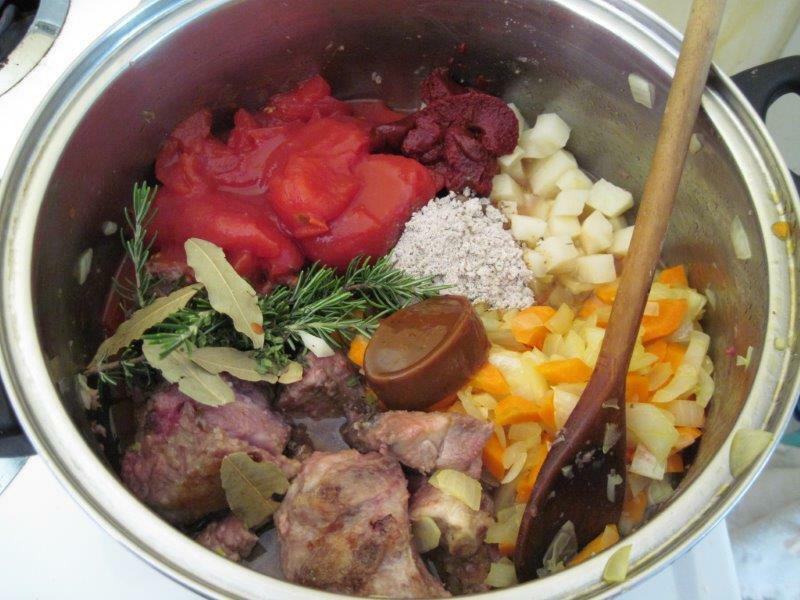 When the lamb is ready, return the vegetables to the pot, and add the potato, tinned tomato and tomato paste, wine, herbs and stock. Pour boiling water over to just cover it all. Bring to the boil then reduce the heat so it’s just simmering. 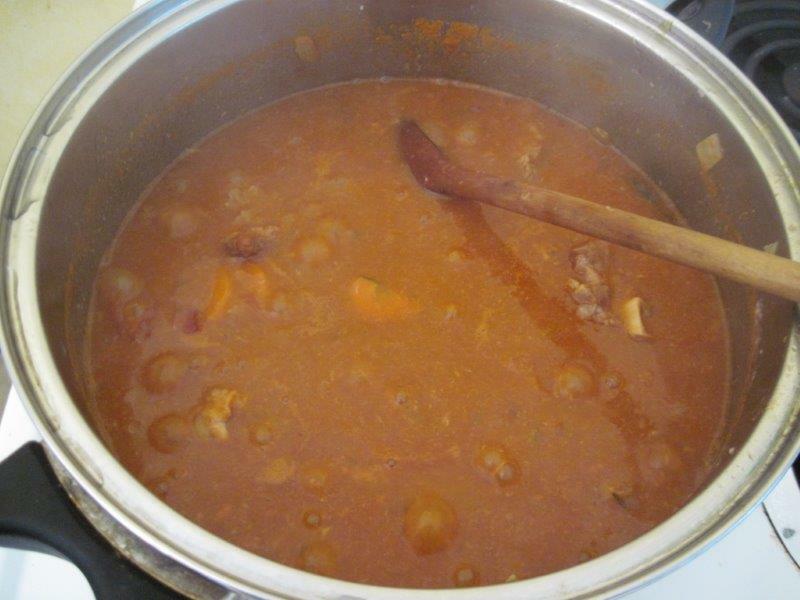 Simmer for 2 – 3 hours, stirring every 20 minutes or so. 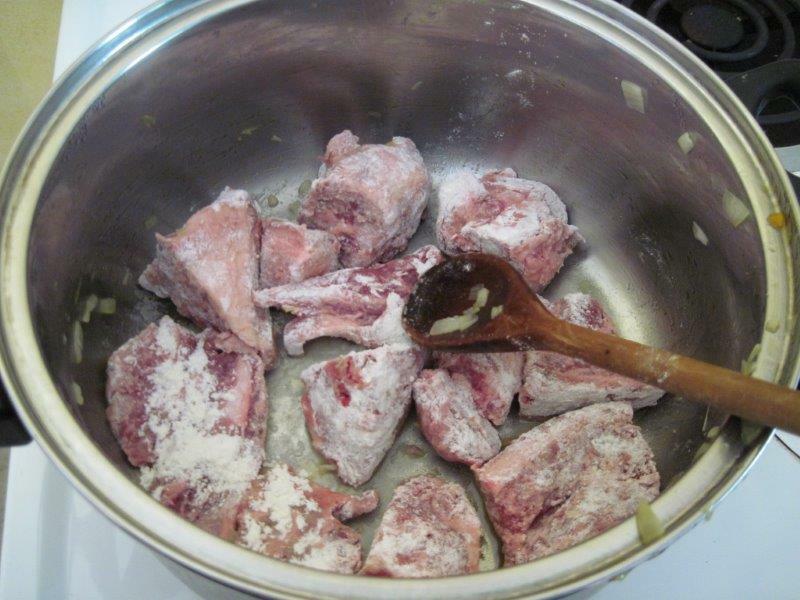 When it’s cooked, the liquid will be much reduced and the lamb should be very tender, literally falling off the bone. If not, cook it a bit longer – it does depend on the cut of meat. 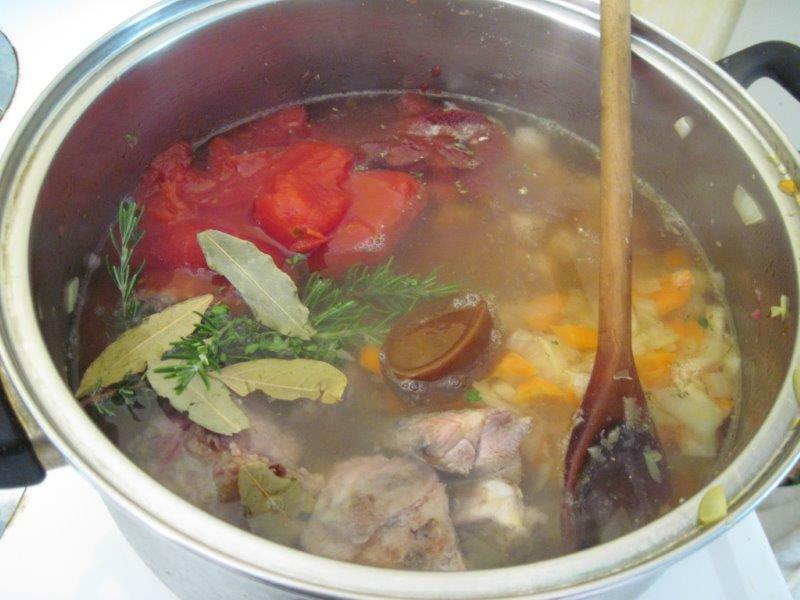 When it’s done, remove the herb stalks, as well as the bones if you prefer. 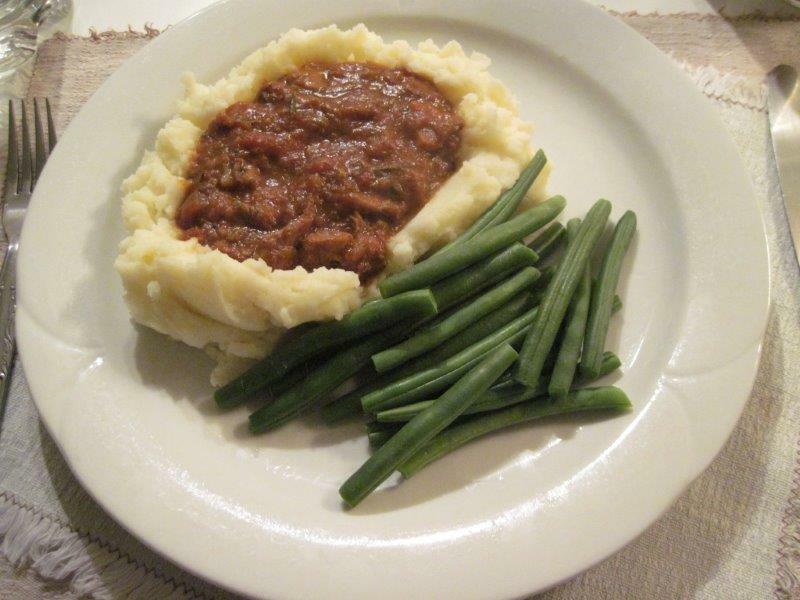 Serve with mashed potato, sweet potato or rice, and/or green vegetables. This dish also freezes really well, either as a whole or in handy portions. 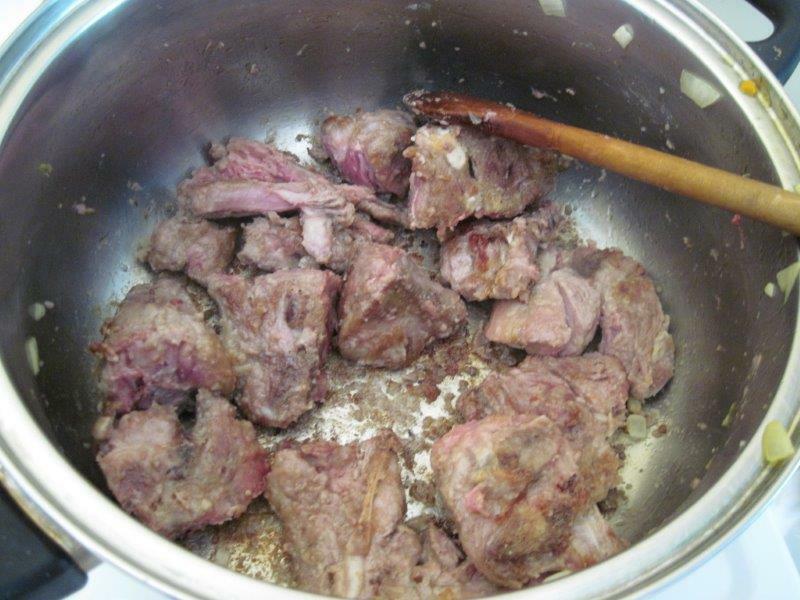 It can be defrosted and then reheated on the stove or in a covered dish in the oven.